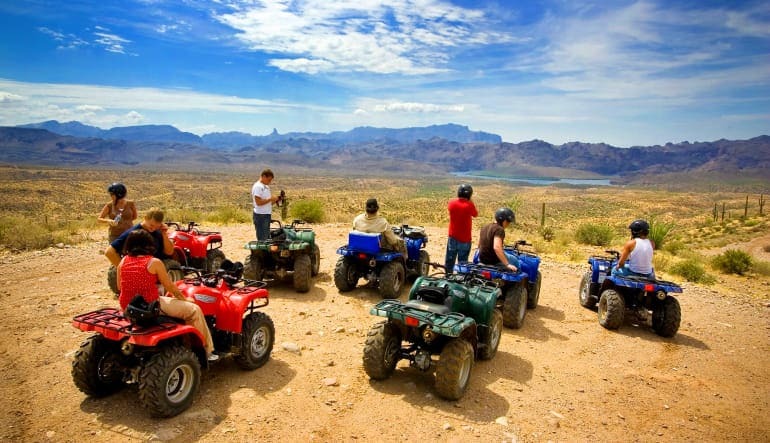 The sprawling Sonoran Desert’s your playpen for a full two hours! 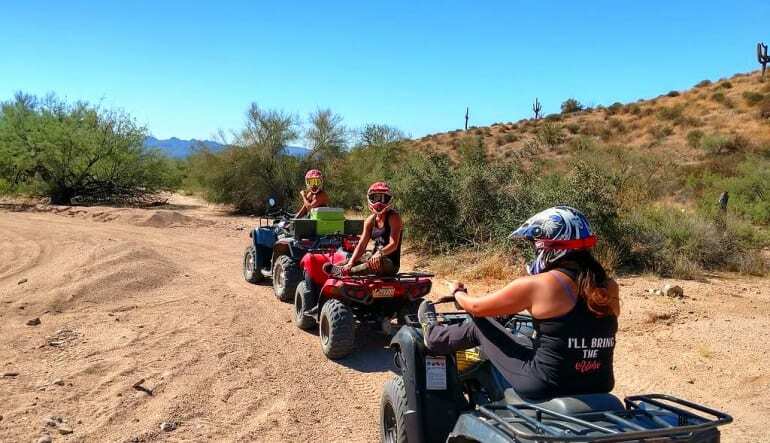 Hop on an ATV for a guided your today! 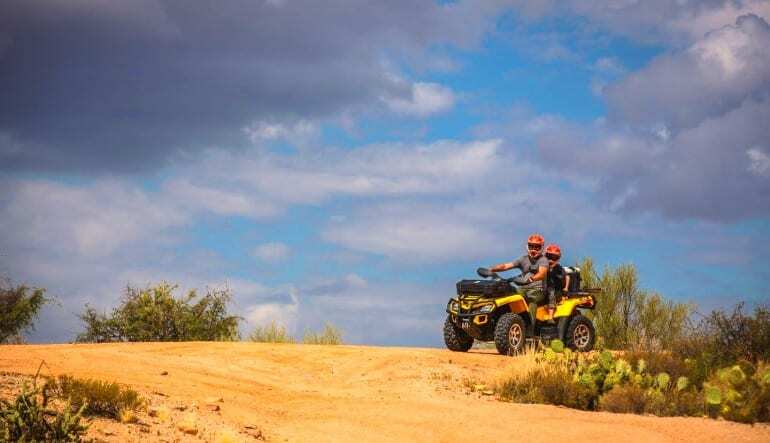 Splashing creeks, rocky river bends, bumpy back roads and sandy desert trails—you’ll navigate through it all! 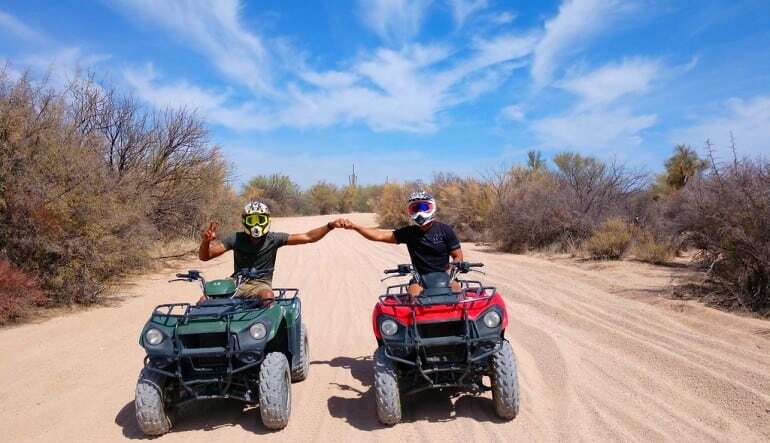 And although a desert, this destination is thriving with wildlife, boasting over 500 species of birds, reptiles, fish, mammals and amphibians. It’s a nature-lover’s paradise! We had a team of 14 and everyone had a blast! The tour guides were very informative and fun to be with. 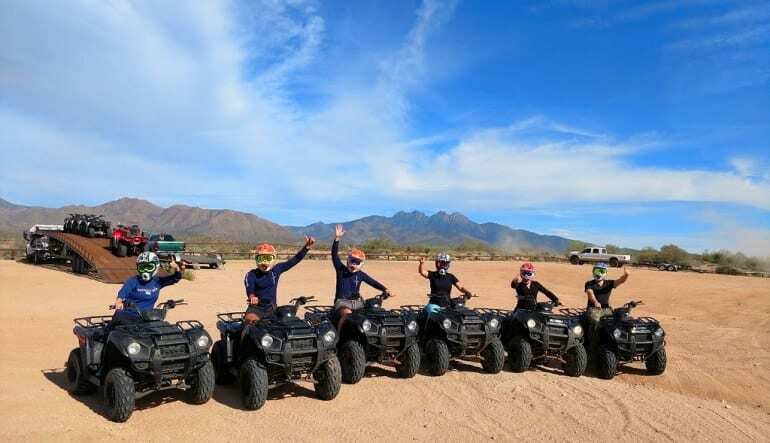 They set a nice pace for the ATVs and allowed us to fully experience the ATVs full potential.